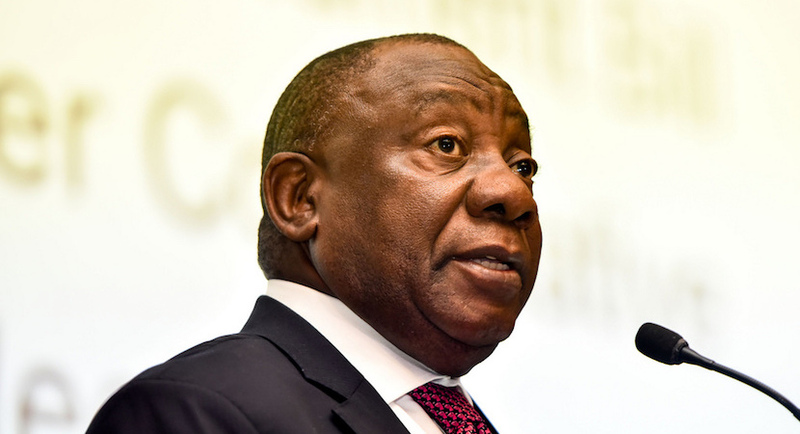 (Bloomberg) – South African President Cyril Ramaphosa said his campaign to become leader of the ruling African National Congress last year received a payment from a firm with links to his son and that he previously and inadvertently gave incorrect information about it to parliament. The donation is being returned. Ramaphosa’s son Andile had a contract with African Global Operations, previously known as Bosasa, for the provision of consultancy services in a number of African countries, excluding South Africa, according to a statement from the presidency on Friday. The opposition Democratic Alliance had questioned a R500,000 ($35,732) payment from Bosasa, which has contracts with South African government institutions. The president’s comments come as relationships between South African government and lawmakers with private businesses is under particular scrutiny. Ramaphosa pledged to clean up state corruption when he replaced Jacob Zuma as president in February, and a range of hearings and inquiries have since taken place. Ramaphosa won the ANC leadership election in December. Ramaphosa’s answer isn’t good enough, according to DA leader Mmusi Maimane. Ramaphosa’s campaign team on Saturday said it will return the Bosasa donation, Cape Town-based News24 reported, citing a statement. The team said the president wasn’t aware of the payment because fundraising operations were kept separate from other matters in order to minimise any potential conflicts of interest, according to News24.